Clementina Arts Foundation proudly invites you to match our donation (our goal is $5,000) to an important and historic acquisition by the Louvre to purchase the King François I’s Book of Hours. The Book of Hours is an extremely important vestige of the House of Valois. This French National Treasure has been put up for sale by its London owner. The Louvre has opened the fundraising to the public in order to raise 8 million pounds (about 10 million euros). Clementina’s Special Situation Funding is dedicated to funding museums that give back to the art community. 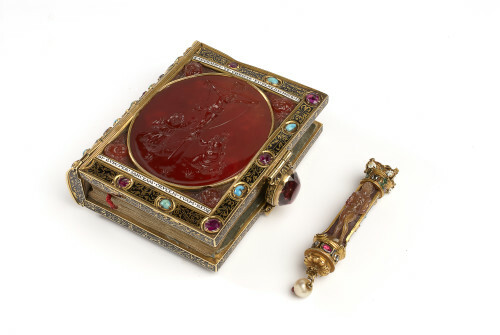 Click below for more information about the Book of Hours and the Louvre’s fundraising project.